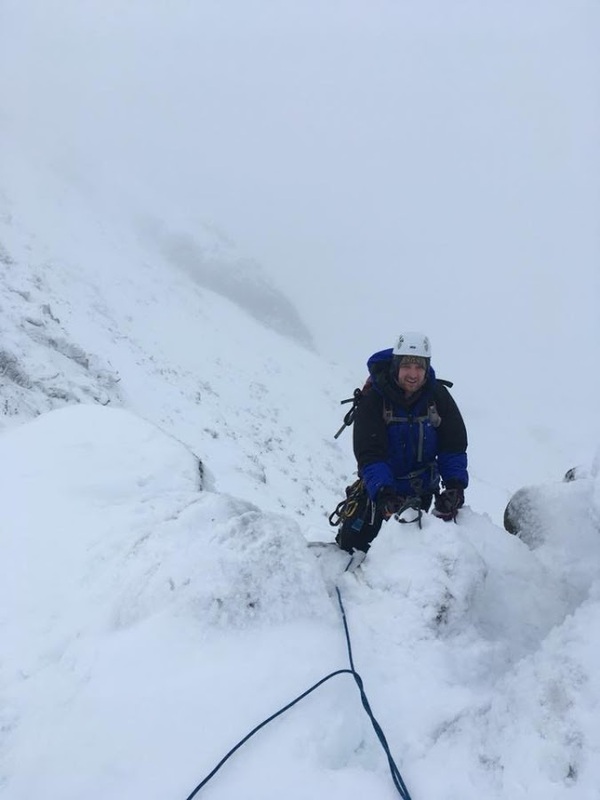 This year’s Xmas meet promised great winter climbing in the Cairngorms as the snow had been falling for some weeks previous. 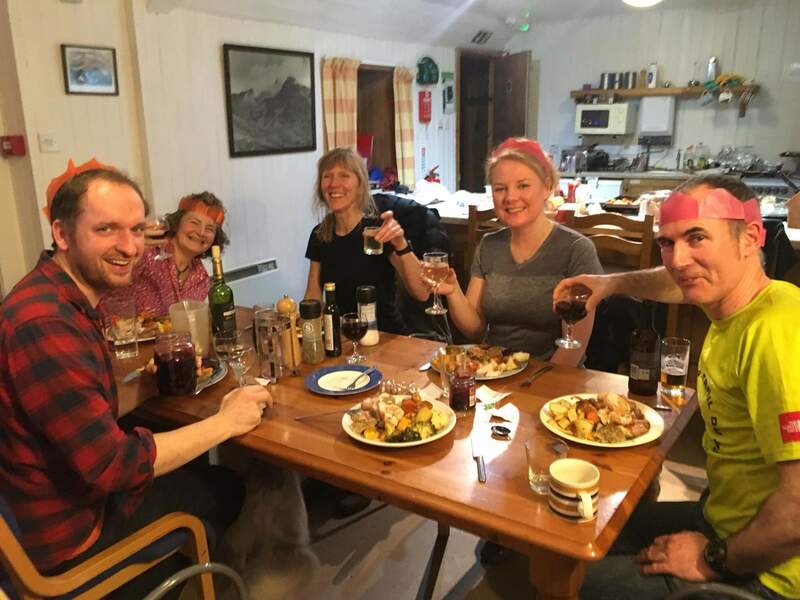 The Ladies Scottish Climbing Club Milehouse hut was the perfect place for our meet: a roaring fire, great surroundings and a massive kitchen to cope with the enormous meal that Lorna had planned for us. We rose early on Saturday morning and teams were already planning their day ahead: Danny and Helen would tackle the classic Goat Track gulley, Michael, Lorna and I would head into Mess of Pottage to scope out a climb, and Sandra would scout out the surrounding area for a low level winter walk. Michael was keen on a mixed climb for us, which would be great but I had only brought a single axe. 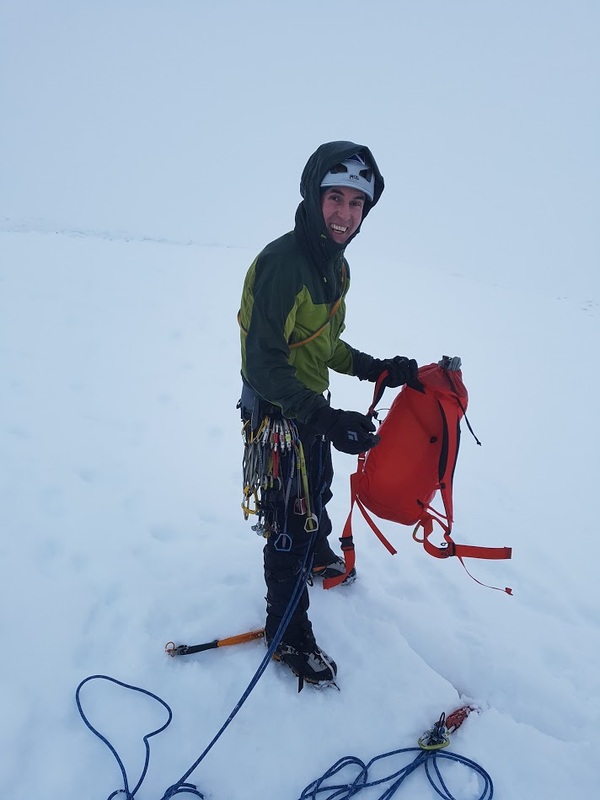 Luckily Danny, in the traditional spirit of the club, came to my aid and lent me one of his cherished ice axes, “Don’t worry, the rust adds lightness!” he noted. It must be very light then, I thought while looking at the crusty axe. We parked at the ski centre car park and headed into the corrie. 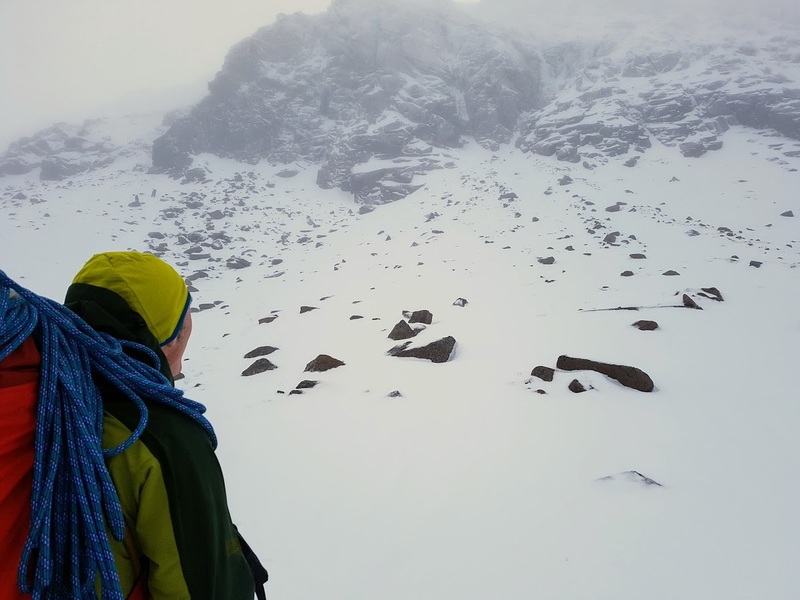 Visibility was reasonable and although the wind was gusting, it was heading into the face of the corrie, so less worries about cornices. As we approached the crags, we could see a number of teams on the routes. 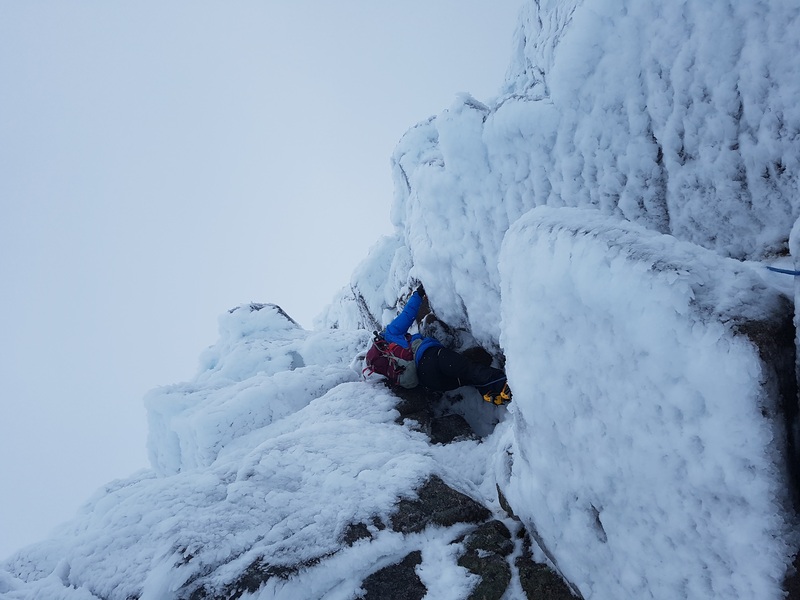 The snow was still powdery so Michael decided it was best to do a mixed route such as Jacob’s Edge. We prepped up for the climb, getting our gear sorted while perched on a ledge at the base of the route. 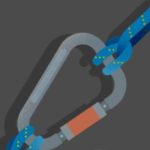 Now, there may have been an issue about a rope, but I really can’t recall. Anyway, a dozen pitches and 30m later we were at the top of the route with big smiles all round. We headed back down to the car to return to the hut. That evening, Lorna prepared a massive Xmas meal for everyone, course after course kept appearing in front of me but, being gifted with a with a cavernous gut, none went to waste. The chat, wine and laughs were flowing (occasionally centering around an incident with a rope, whatever that was) and eventually we all staggered to the bunks. I headed home early the next morning and the group continued with a low level winter walk before heading home.